We’ve already explored the benefits the cloud can have on business processes and the bottom line, but there’s another element to consider which is its ability to encourage innovation. A Forbes Insights study shows 93% of leaders agree that cloud-based collaboration tools do spur innovation. So clearly upper management is on board with the cloud as a way to fundamentally transform an organization. – Adaptability. With a cloud-based infrastructure, companies can change directly quickly without making large capital investments. Perhaps a competitive firm has a new service that supplants a company’s now outdated solution. To adjust to this new reality requires fast thinking and either a refinement of the product or a push to new directions. The cloud enables such moves through collaboration and information sharing that allow companies to quickly build and test prototypes and get the solution to market faster. – Personalization driven by context. 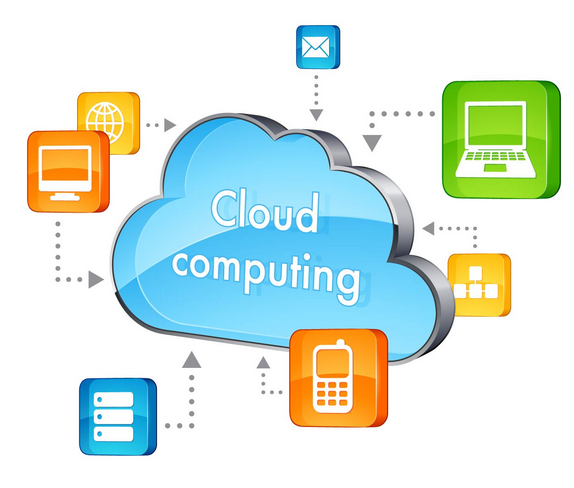 The cloud can store vast amounts of information due to cost-effective capacity and the use of limitless computing power. The information stored by companies can include user-defined data, which can now be leveraged to offer hyper-relevant offers and experiences. Consider the experience using Apple’s Siri which uses cloud-based learning to gain an “understanding” of the user’s preferences and then deliver contextually-based recommendations. Which companies will capture and retain the most customers The ones that innovate through more personalized experiences which are created from behind-the-scenes cloud-based data. -Connectivity. The cloud drives companies to collaborate with partners and customers, which can result in opportunities for innovation. This is happening in healthcare, where various stakeholders such as payers, healthcare providers, practitioners and administrators can better work together to share information for better care that is delivered at lower cost. It also occurs within manufacturing supply chains, where cloud-based applications are simplifying the conversations between suppliers and customers. Manufacturers can then automate various tasks and remove bottlenecked scenarios for faster fulfillment times. – Home improvement retailer Lowe’s consistently had challenges in stocking needed supplies ahead of bad winter weather, floods, and other similar weather-related issues. The company began working with AccuWeather which holds a massive amount of data which is all stored on Microsoft’s Azure cloud infrastructure platform. Lowe’s uses access to this data to plan for disasters more efficiently, for example by moving snow blowers, salt, and other supplies to areas that were most likely to be hit by blizzards. The cloud delivers this data instantly, so smart decisions can be made in real time. – Kaggle, a predictive modeling and analytics company matches companies that need specialized research with a pool of scientists and other experts. The team at Kaggle needed more scalability and turned to the Azure platform to handle large clients and massive sets of data. Their work with Microsoft included moving the database to Microsoft SQL Azure, which added some streamlined automation to the process. The scalability of the cloud allows the site to handle spikes in users, giving the company the freedom to come up with new and innovative competitions which can attract large numbers of users. With the cloud, realizing business innovation doesn’t come out of thin air. It still requires talented staff and great ideas. However, cloud-based services and infrastructure do allow this innovation to be more impactful, more cost-effective, and implemented quickly for the most impact. Companies that want to harness the full power of cloud adoption should work with a qualified partner to find the areas that are most primed for innovation. The post Innovation from the Cloud appeared first on Techblocks. Big Data as a Service (BDaaS) Is the Next Big Thing!